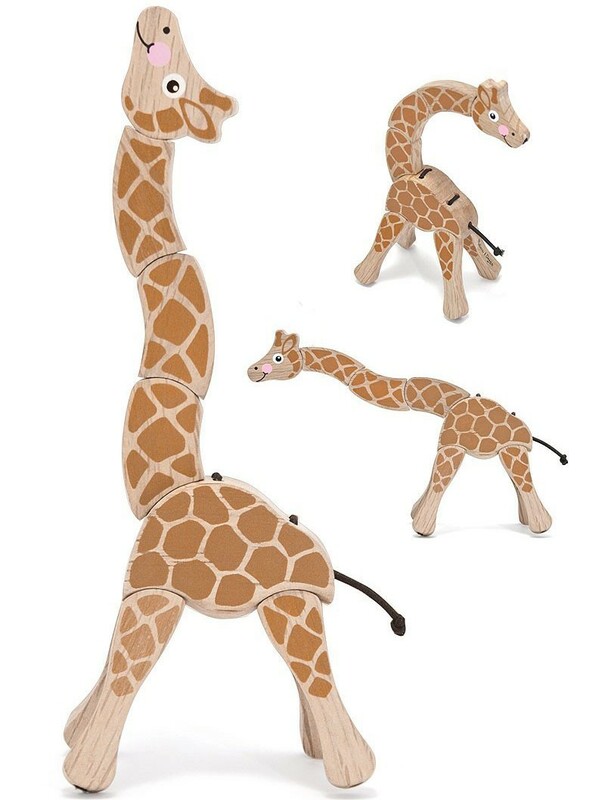 Your baby or toddler will want to swivel, pivot and rotate the nine hardwood bungee-held segments of this manipulative giraffe toy by Melissa & Doug. 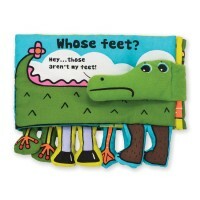 Directly from African savanna and in to your baby's hands comes this charming Giraffe Baby Grasping Toy. 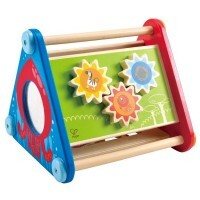 Young animal lovers will want to swivel, pivot and rotate the nine hardwood bungee held segments of this manipulative toddler toy. 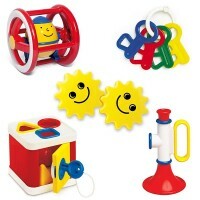 Children could spend hours putting this smiling, friendly giraffe in every possible configuration. Giraffe Baby Grasping Toy is made by Melissa & Dough Company using premium quality hardwood and non-toxic dyes. 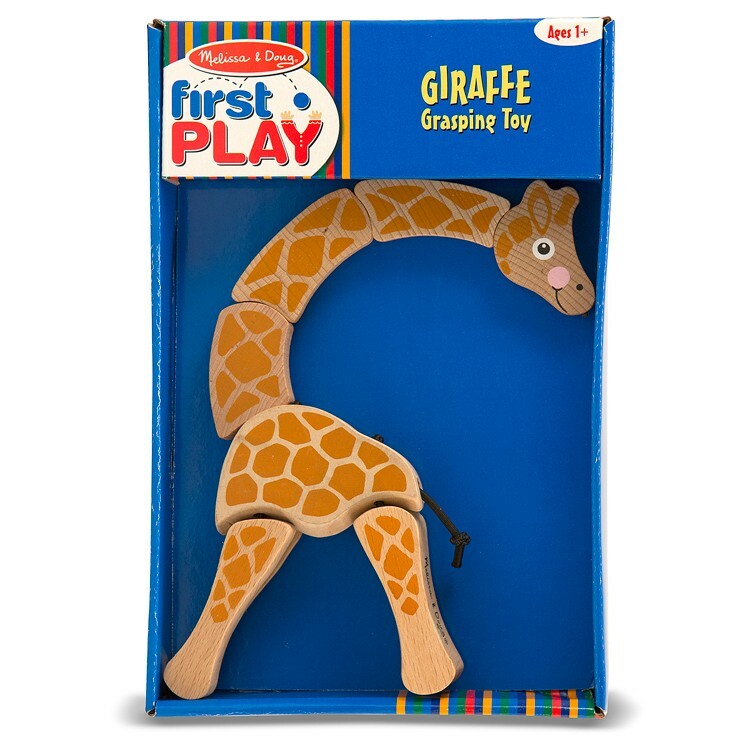 This baby grasping giraffe toy is hand crafted and designed to withstand years of play. 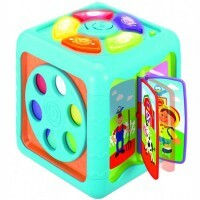 Educational Toys Planet recommends using this toy to promote your babies: body part recognition skills, fine motor skills, tactile, cognitive and hand-eye development. 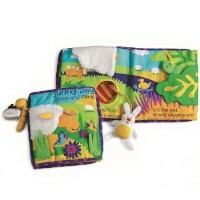 Dimensions of package 1.7" x 6.5" x 6"
Write your own review of Giraffe Baby Grasping Toy. 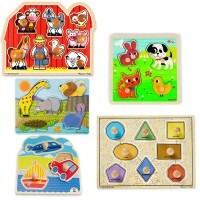 Rating: 5 Perfect for baby by Jessica G Manipulative toys like this are ideal for babies learning how to use their hands and fingers. 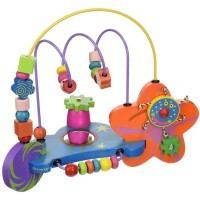 This giraffe is made of high quality and durable materials and will stand up the beating that a baby will give it. Drop it from the high chair, throw it across the bedroom, no worries! 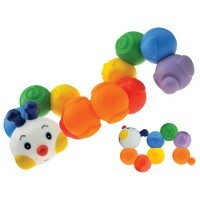 It is a simple and classic toy that will become an instant favorite of your little one!